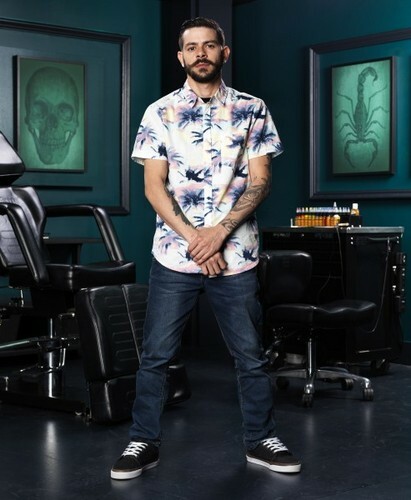 Gian Karle | Ink Master: Peck vs Nuñez. . Wallpaper and background images in the Ink Master club tagged: ink master spiketv season 8 peck vs nunez contestants tattoo artists promotional photo. This Ink Master photo might contain sala de estar, sala, sala de frente, salão, sala da frente, and calças compridas.